We want to send a big thank you to everyone who joined MyPlus Students’ Club in February and participated in our Win a day at an organisation of your choice competition. Special congratulations goes to Penny Michael, the lucky winner of our prize draw! Penny joined MPSC after seeing an ad at her Uni. Penny was selected as our February winner, her chosen organisation was Norton Rose Fulbright, as a student at the University of Law, Bloomsbury, NRF were a perfect fit for Penny. We asked Penny to tell us a bit about herself and how her day went below. My name is Penny Michael and I am currently studying the Legal Practice Course and LLM in Professional Legal Practice at the University of Law in Bloomsbury. I was formally diagnosed with dyslexia during my undergraduate degree at BPP university though I did not receive proper support for this until studying my LPC. 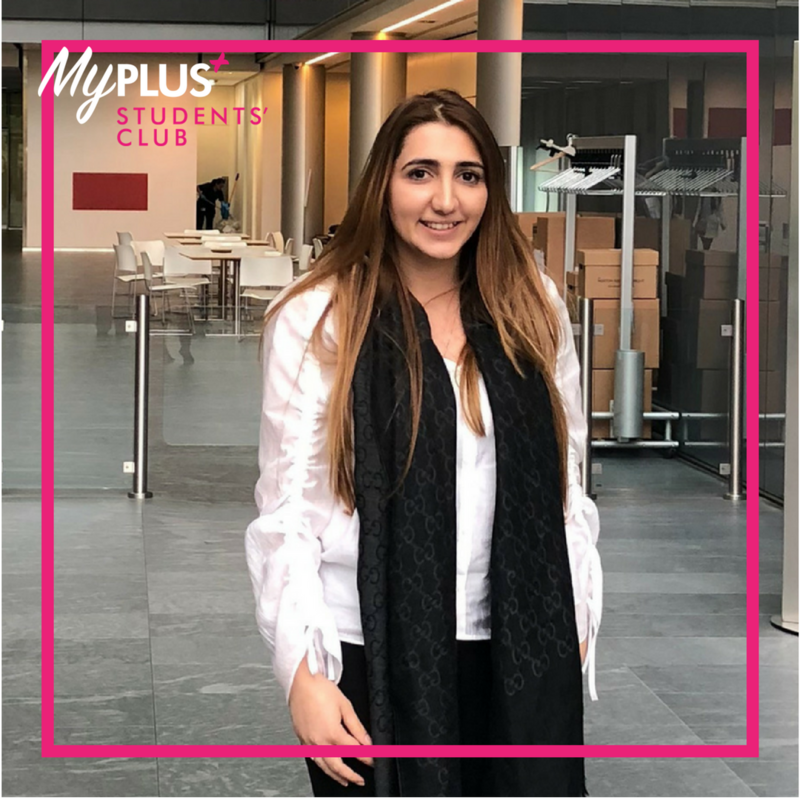 I found out about MyPlus Students’ Club through an advertisement at my university, I was interested to see what MyPlus Students’ Club was and what it could offer so I signed up. Whilst researching your website I came across the “Win a day” competition and thought I’d try my luck! Whilst I was at Norton Rose Fulbright I was able to get a real insight of the firm. It was organised that I would shadow an associate in the banking, debt and finance team who was dealing with shipping finance, and a trainee who was in her second seat in the general banking department. I also had coffee with a partner in the firm who was part of the recruitment team where we were able to talk about where I am currently at and what the firm would be looking for should I apply there. Lastly, I had a meeting with the trainee recruitment manager at the end of the day to discuss my day and go through any further questions that I may have. The recruitment team advised how I should approach questions when I should aim to get my applications in and for candidates with disabilities they explained that you could be given additional time if you are entitled to it. Whilst I didn’t get the chance to meet employees in the department I want to apply for, I still got a good insight into the department that I sat with. Though I still found the department where I sat beneficial as I am now considering when I get a TC to seat in the banking department as I was able to learn the different areas that it involves – it is not only banking it is also shipping finance. I would definitely recommend My Plus Students Club and the “Win A Day” competition, as not only does it give you an insight into a firm/business of your choice. It allows you to gain experience, which you are able to put on your CV, and motivates you and reassures your ability. I wouldn’t say I have a favourite part of the day as it was all enjoyable, from the work that I learnt to the conversations with all staff that played a part in the day. I loved that everybody was so approachable and friendly. NRF was amazing, thank you for the opportunity it really gave me a warm insight into the firm and the people were very approachable. Learn more about Norton Rose Fulbright here and sign up for FREE & enter our prize draw here.